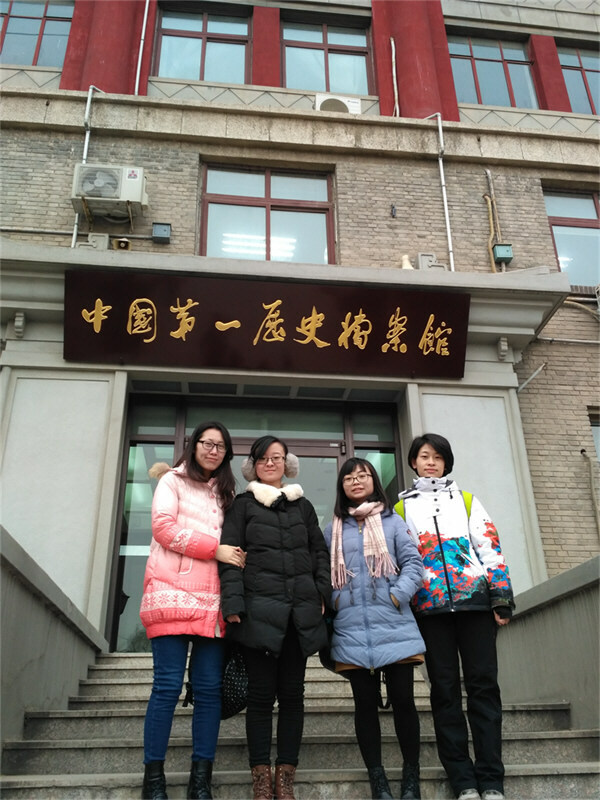 On 26 December 2016, our newly recruited data mining squad in Beijing starts to act for the first time in the First Historical Archives of China. This squad currently has four master students,Chen Wei, Lou Shanshan, Wei Fang and Yan Jing, from the major “historical literature” or the major “historical archives”. Coincidentally, they are all from Renmin University of China. Together with our research assistant Zhang Zipeng, they will try to mining industrial data of the Qing Dynasty (1644-1911) in the First Historical Archives of China, a national-level archives where more than 10 million items of the Qing archives (i.e. half of the total now-existing Qing archives worldwide) are preserved. This operation of the squad receives help of Prof. Dr. Yuan Weipeng and Dr. Huang Yingwei, the Institute of Economics of the Chinese Academy of Social Sciences (CASS). This entry was posted in 活动, 项目动向 and tagged hindi, zhang zipeng activity, 中国, 中国第一历史档案馆, 北京, 档案 by HinDI. Bookmark the permalink.